The Tri-State Multiple Sclerosis Association gets a boost thanks to D-Patrick Ford. The dealership presented a $2,500 check to the organization. All February, D-Patrick donated $10 to the MS Association for every new car test drive. 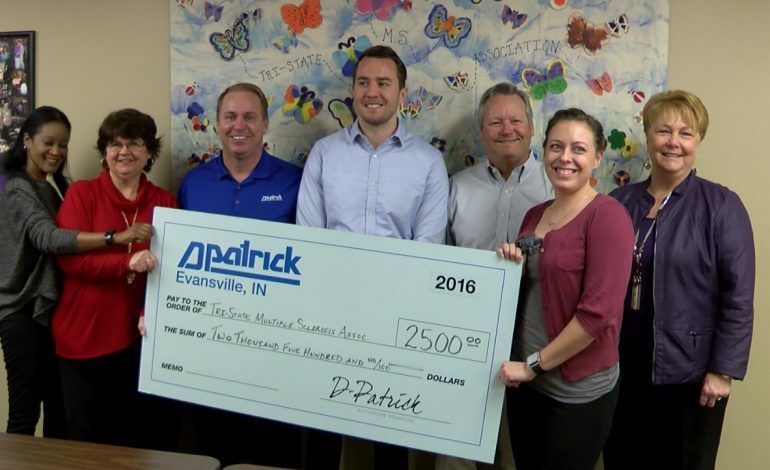 The donation was part of D-Patrick’s Donate and Drive campaign.